I saw someone say Krita is on Mastodon now, but didn&apos;t link the account. 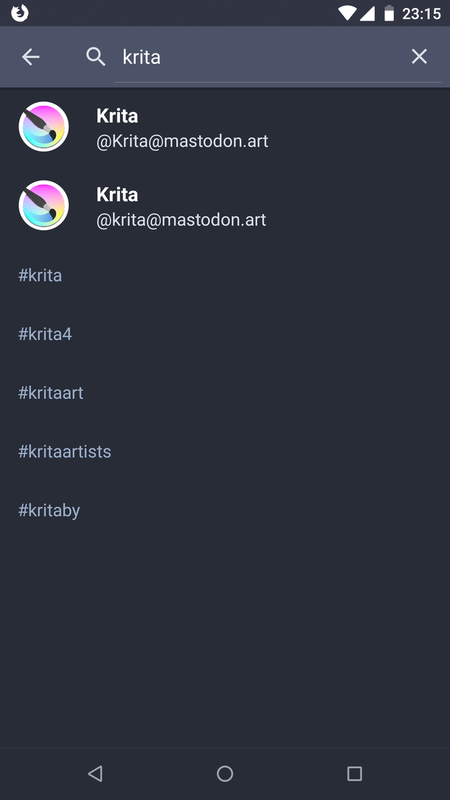 I&apos;ve done a search in multiple clients and see that there are two accounts that look the same, both are krita @ mastodon.art. Which is the real Krita?